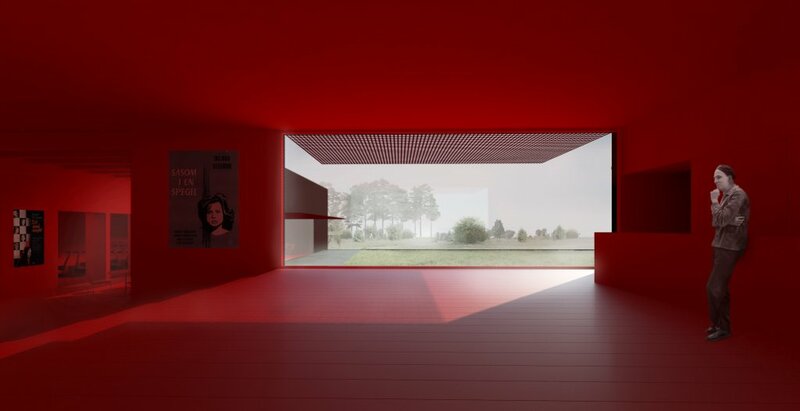 Bergman Center – 1st prize competition 2009, unbuilt. 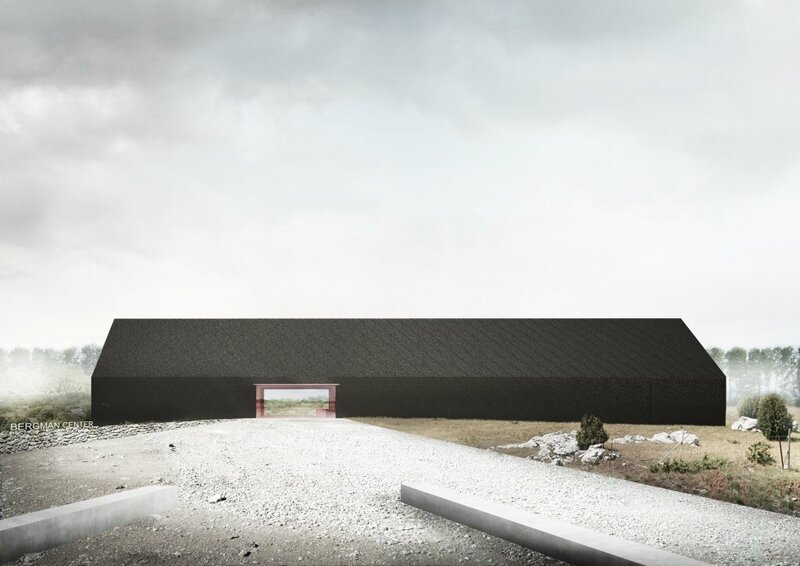 The competition aimed to transform the two existing buildings of a former school into the new premises of the Bergman Center Foundation on Fårö Island. The purpose of the BCF is to manage and develop the artistic legacy of the Swedish film director Ingmar Bergman. 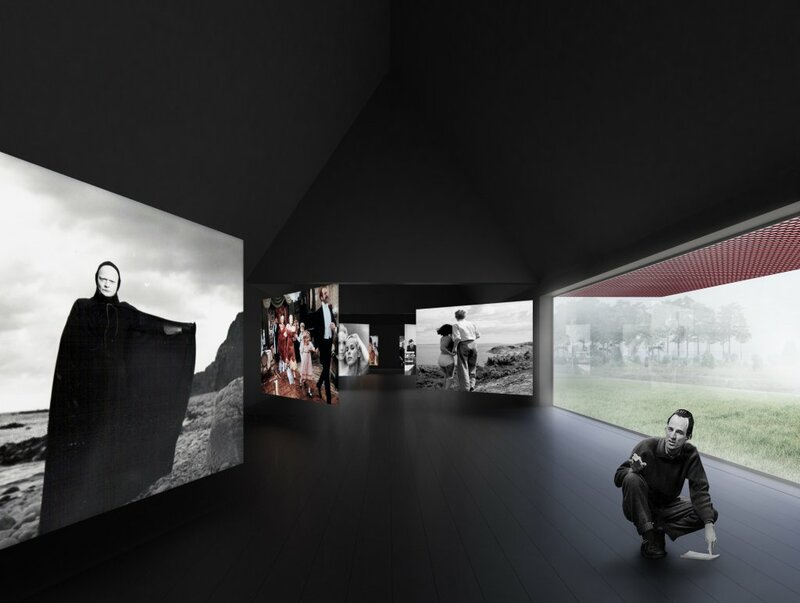 Situated close to Fårö Church and the Ingmar Bergman residence at Dämba, the new premises will be the hub of the Bergman Center’s public activities, including a permanent exhibition, cinema, audio listening room, library, shop, café and a cinematographic park. It will also be the base for the annual Bergman Week. In Tham & Videgård’s winning scheme, the two existing buildings are linked into one through the addition of a new steeply pitched roof that creates double height exhibition spaces as well as a new upper level for a library, video rooms, offices and the Fårö museum. The resulting reduced and prismatic exterior volume establishes a direct relation to the local vernacular architecture of Fårö island. It is clad with industrial tar paper, which let the BCF stand out as a new and recognizable contemporary addition in relation to its environs, the open agricultural landscape.